Tank will be able to automatically load projectiles, making it safer for the crew. On Feb. 9 Russia’s main tank manufacturer announced the development of a new generation of ammunition for the T-14 Armata. 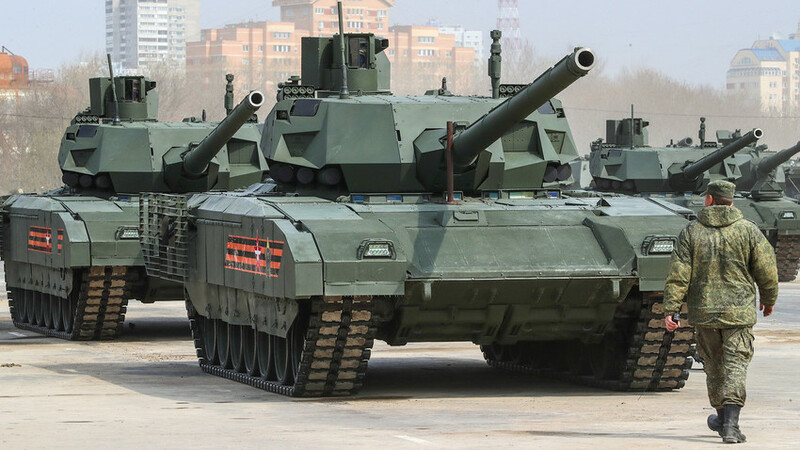 Each improved projectile for the T-14 Armata will be coded: The manufacturer will apply QR (quick response) codes invisible to the eye on each projectile, which the tank's electronic systems will read automatically in response to combat situations before loading them into the barrell. "Prior to this, these functions were performed manually by crew members. And since the turret of the tank is one of the main targets during combat, crew members are at risk. But now the turret is unmanned and its operation is automated. At the same time the crew is sheltered in a special armored capsule from which it controls all the tank’s systems," a military source told Russia Beyond. Put simply, the munition recognition system reads a barcode much like a scanner in a shop. However, the codes on the ammunition are tamper-proof. "Each round will get a unique matrix code that cannot be faked or even ‘put out of action’ in case of a production error. It will simply be sent for reprocessing," Russia Beyond's source noted. Furthermore, the T-14's munition recognition and feed system has been developed to function in battlefield conditions. As well as developing the new munitions, Kalashnikov Concern plans to increase the accuracy of the Armata's gun by 20 percent in comparison to its foreign counterparts.